Des Moines, I am Proud to Be a Resident! As a rehabber, it’s my natural tendency to want to change things to function better or differently than from before! Of course, my focus is rehabbing people, but you could ask anyone around me and know that I also rehab myself!, plants, animals, used items, and just about anything else that engages my rehabber instincts! I love to see improvements within people and within existing places. I get a thrill from seeing enhancements, more functioning, beauty and lovely spaces and places to visit! Simply put: a high standard quality of life is good for all. I’ve been a DesMoinesian since the mid-1980s and have witnessed our town improve greatly! Have you visited the Greater Des Moines Botanical Garden recently? While touring the “new” outdoor area, I kept repeating “wow” over and over. The pathways and waterfall are spectacular! 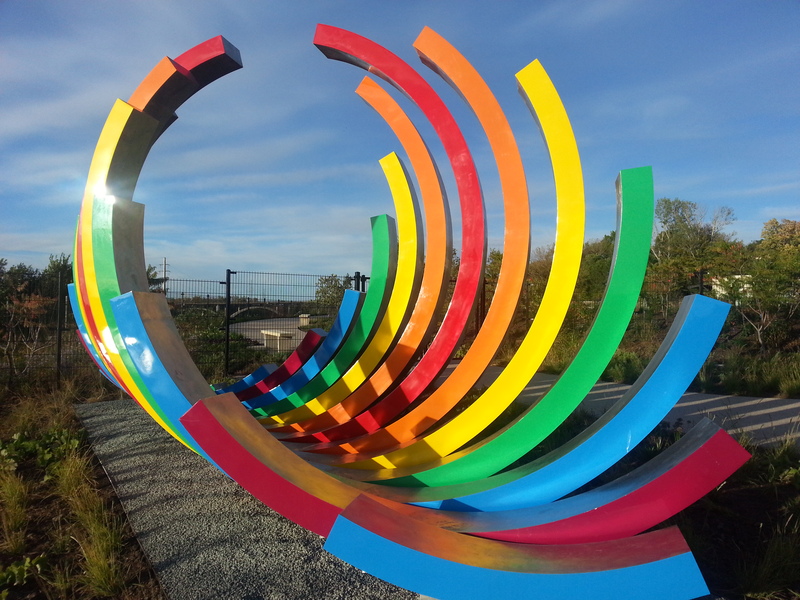 I’m happy the rainbow sculpture didn’t go far! 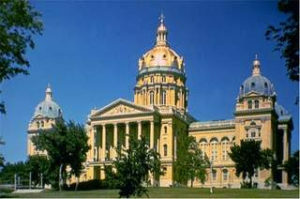 The city of Des Moines is really cool which is incredible considering our town was stalled for awhile. I’m proud to be a resident and am excited to be a part of where we all are going! Even Cowles Commons, formerly Nollen Plaza has been rehabbed! My motto “use what you got!” must be aligned with the City! “Crusoe Umbrella” It was also a good beer holder! My brother Steven and I loved going to Seniom Sed in the 80s. I’m also fond of Gray’s Lake and recall how it was so many years ago, pretty hidden and not nearly as impressive as it is now. My brother loved to play hacky sack with his buddies in the grassy area near the north entrance. 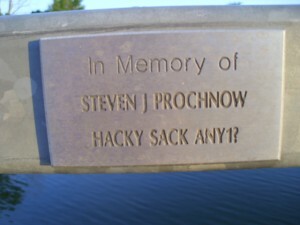 Steven’s plaque is on the southeast end of the bridge. In Memory of Steven J Prochnow Hacky Sack Any1? 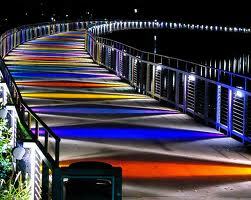 Des Moines is rehabbing our downtown and East Village in an incredibly tasteful fashion! Our old buildings are turned into new beauties. We are seeing lofts going up in warehouses, the new YMCA, and what will be of the Younkers building? I used to work there as a clerical temp in the marketing department in the 80s! Have you been inside Central Campus, the DMPS building which undergoes rehabilitation as well? (Where my husband works) Of course, our libraries have seen great improvements, and the sculpture garden is worth a visit! I could go on bragging about how Des Moines loves rehabilitation and so do I! As the city changes, I can add to this post. My brother Steven was an avid skateboarder and I know he would be thrilled about the plans for a skate park along the river, and the sculpture that is proposed for skaters to actually use! It’s size is going to WOW us! Previous Previous post: It Finally Arrived! My Forensic Rehabilitation Counseling Graduate Certificate! Next Next post: Is Your Glass 1/2 Full or 1/2 Empty Today? Personality Assessments Help Find Out!